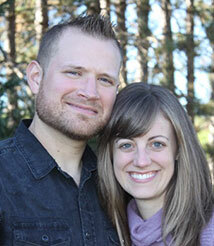 Pastor Ken is the Michigan Conference Youth Director and Camp Au Sable Director. He is a former high-rise construction worker, boy’s dean, high school teacher, athletic director, coach, referee, vice principle and pastor. Summer time at Camp Au Sable is Pastor Ken’s favorite time of year! He has a passion for youth and seeing them take their stand for Christ! The Micheff’s are praising the Lord for almost 40 years of marriage! Tammy is an assistant in the Michigan Conference Youth Department. She loves getting to live at beautiful Camp Au Sable. She is the office manager, runs the camp store and is in charge of guest services. She has worked in the Ministerial Department, Development Department, and as an office coordinator. One of her greatest joys is her two adult children Crystal and Jeremy. 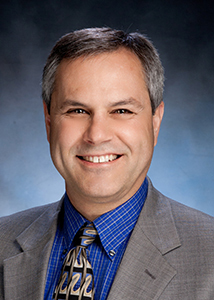 Scott Tschetter was born and raised in South Dakota. 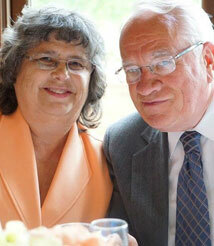 After attending Andrews University he met the love of his life, Joyce Tschetter. :) They married in 2009 and have two amazing children, Grace and Finn. Scott has been blessed to serve as a ranger at Camp Au Sable since 2012. 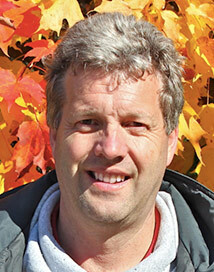 He enjoys exploring the Northwoods with his kids, woodworking, gardening, and restoring old vehicles in his spare time. John Deere Tractors are his favorite. He and his family are so thankful and blessed to live and serve at Camp Au Sable. Craig and Cindy Morgan are no strangers to Camp Au Sable as they have spent the last 33 summers here. Having recently retired after 46 years involved in Adventist Education, they are now part of the full-time staff helping in the area of guest services and organizing volunteer helpers. Their love for serving Jesus makes them an added blessing to all who find their way to the various activities that Camp Au Sable offers year round. Mitchell (Mitch) Graham grew up in the beautiful state of Iowa. God first led him to camp ministry as a teenager at Camp Heritage in Missouri where he helped in landscaping, maintenance, the Equestrian Center, and anywhere else he was needed. Since then, he has continued to work in a variety of states and trades, including building pole barns in Indiana, doing camp ranger work in Massachusetts, landscaping and remodeling in Texas and Michigan, installing gutters in Iowa, and refinishing hardwood floors in Michigan. 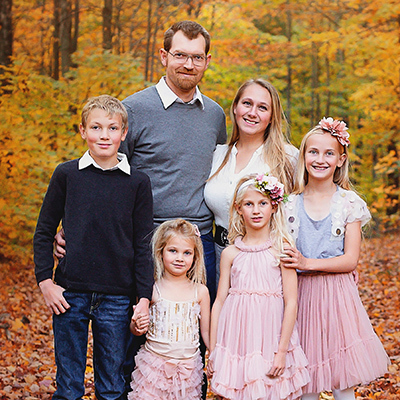 Mitch is married to his wife, Emily, who currently teaches at Grayling Seventh-day Adventist School, and together they enjoy being outdoors, learning new things, ministering through music, and connecting with people for Christ. Chef Miguel was born in Fort De France, Martinique. He studied to be a chef in Martinique and France. He took a special course in France to learn vegetarian cuisine. He has served in many restaurants and universities throughout France, Germany & the United States. Prior to coming to Michigan, he was owner of The Garden Grill Cafe, a very famous vegan restaurant in Wichita, Kansas. He has conducted numerous cooking classes all over the United States & abroad, including South Africa, and Botswana. Chef Miguel is often found encouraging and praying with a brother or sister in need. If he sees someone sick, he loves to make herbal teas to aid in their recovery. Miguel is married to Nadine and together they have two beautiful children, Emmanuel and Hadassah. 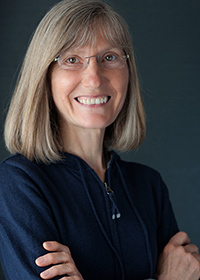 Gail has lived in many places from east to west coast including Camp Blue Ridge in Virginia, Little Grassy Lake camp in Illinois, and Weimar Institute of California. She is happy to be back in her native northern Michigan and is enjoying its amazing four seasons. To serve the Lord in any capacity He may ask is her greatest passion! For her this has included leading in health ministries, teaching healthy cooking classes, going on various mission trips, and being very active in her local church. She also enjoys reading to and loving on her grandchildren. Gail has two grown children, Colby (and Lisa), who are serving at Camp Au Sable, and Raini, who is finishing her nursing degree in Grayling. All five of her grandchildren are blessed to attend the SDA church school on the grounds of beautiful Camp Au Sable. Gail loved to go to summer camps as a young girl and after her family became Sabbath keepers she even attended Camp Au Sable as a teen. Colby Jenkins is native to the Northern Michigan area, whose family has continued for 7 generations as potato farmers. His childhood included spending some years as a Camp Kid at Camp Blue Ridge, where he discovered a love for horses, mechanics, building, and all that camp life entails. He was homeschooled through high school and graduated from Andrews University in 2003. 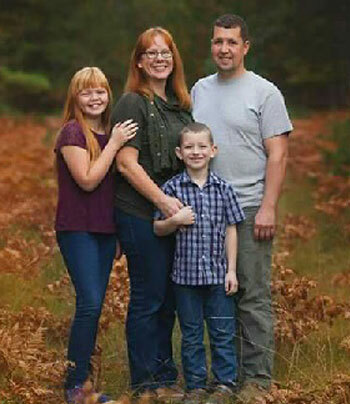 Prior to taking the position as Associate Manager at Camp, Colby spent many years in the building trades and as project/production manager of a custom cabinet shop while also serving as Sabbath School teacher and elder in the Kalkaska church. Lisa Jenkins was born in Washington, where she spent her formative years hiking the mountains of the Pacific Northwest. She met her Michigander husband while attending Weimar college in California and they have been married and living in Michigan now for more than 15 years. 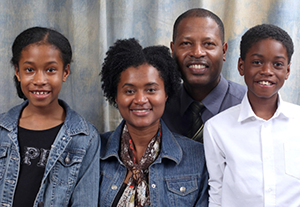 Prior to becoming an office assistant at Camp she was homeschooling their four children, Joshua, Emma, Elayna, and Evelyn. 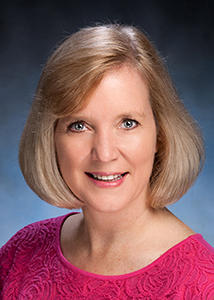 Lisa is also a photographer and enjoys the many opportunity at camp to enjoy the great outdoors by walking the boardwalk, riding horses, and sledding with her kids. "I used to work at Andrews University and volunteer at Camp Au Sable – now I work at Camp Au Sable and volunteer at Andrews!” On Jan. 1, 2013 I became the Camp Naturalist. Interestingly, my very first job was Camp Naturalist for Camp Frenda in the Ontario Conference - his was where I began my interest in telling interesting “Nature Nuggets”. My duties at Camp Au Sable include reinvigoration the Nature Center, developing and running an Outdoor Education program for the Michigan SDA schools, mentoring teachers, organizing summer camp, leading tours on and off camp. “God’s second book is so amazing and it reaches everyone.” Whatever the age-group, I will try to find something that interests everyone. Be careful not to step on my next nature story! My wife Karen is the craft director and in charge of special projects. We have two grown children and one grandchild!"